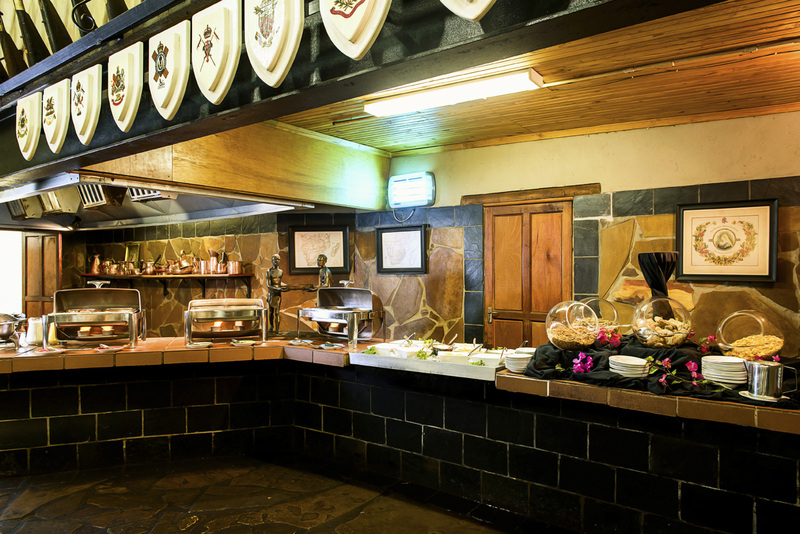 Our Armoury Restaurant is a feast for the senses. 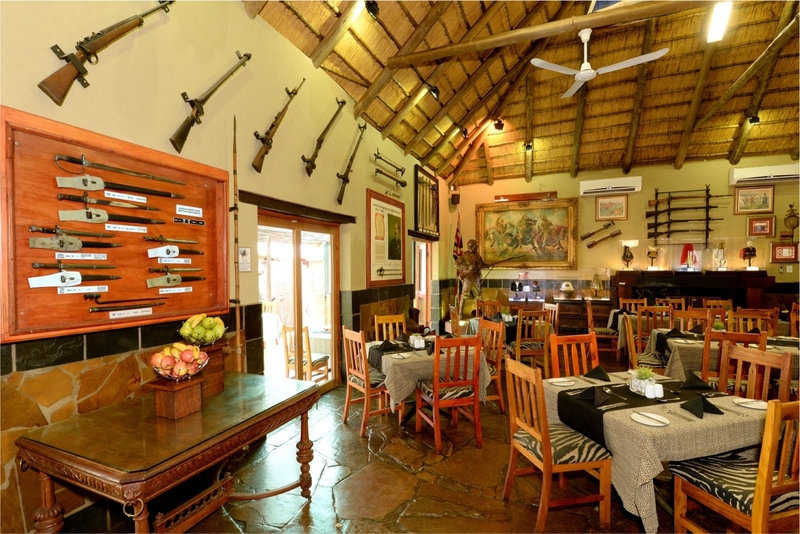 Apart from traditional hospitality, diners are exposed to our unique history; in particular, to a fine collection of South African War military memorabilia; and will enjoy authentic South African cuisine in an enchanting ambience. 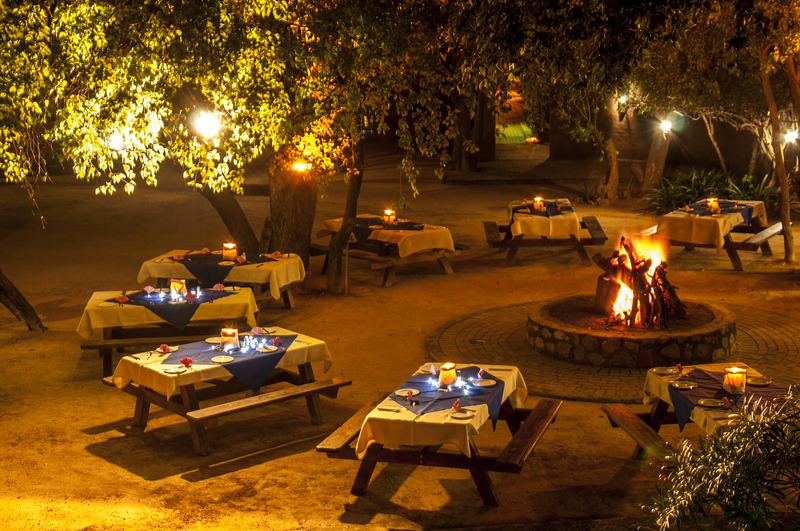 This outdoor venue seats 300 people and has proved popular for informal parties and weddings. 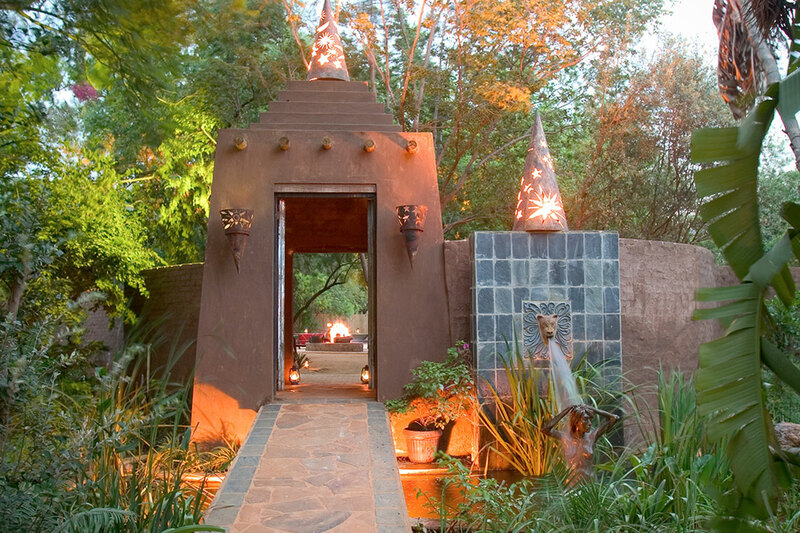 With its unique entrance set amid large indigenous trees, a central fire and a traditional outdoor cooking area, the Boma at Kedar offers a uniquely African ambience for relaxed informal buffets and braais, or for more formal functions. 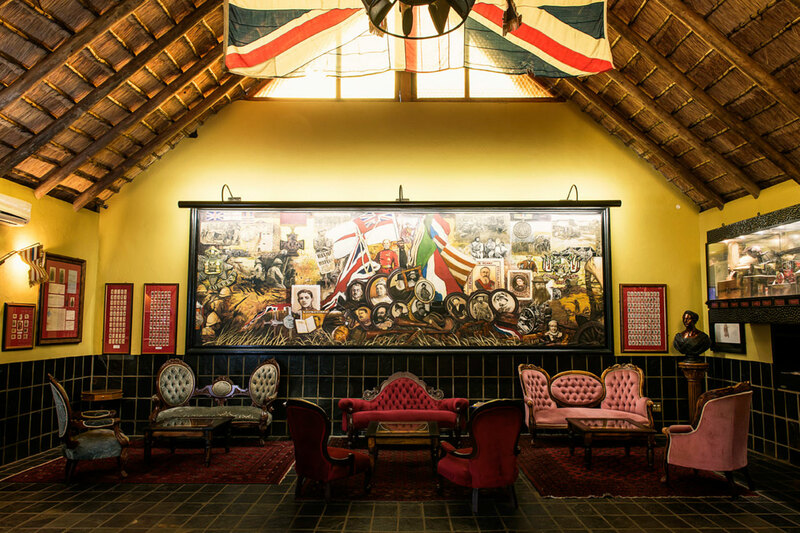 The Heroes’ Bar at Kedar celebrates the heroes of the South African War, no matter the side. Visitors will be amazed by the splendid oil painting collage, the unique chandeliers and other historic artefacts. 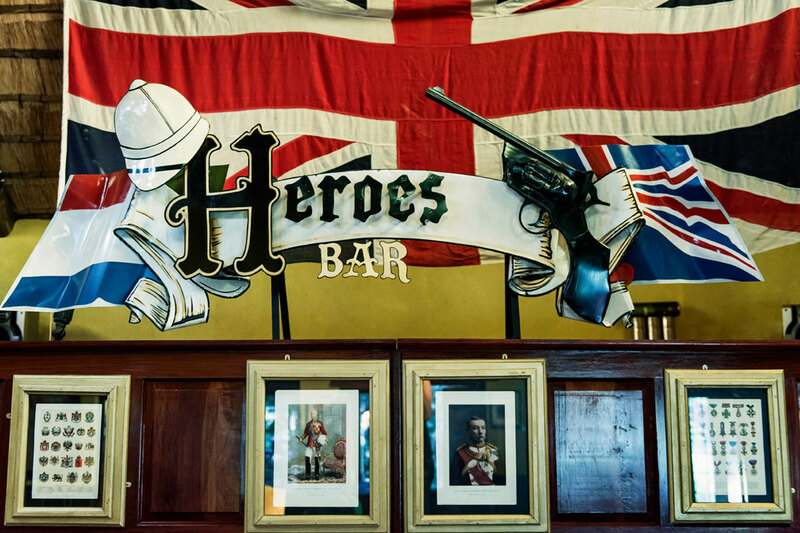 Even the bar menu is themed around the War.